Post by Pastor Tim – Just in case you haven’t figured it out yet, “The 100 Days of Worship” is a discipleship campaign. It’s an opportunity for Fathers to teach their children the Lord’s Prayer. It’s an opportunity for Mothers to explain to their children why the North Korean underground church used the Apostles Creed. It’s an opportunity to read the gospel of Luke at the bus top with others on your way to work in the morning. And it’s an opportunity for school kids to invite their friends to pray with them. Very happy to report that our daughter, Moriah Faith, was born at 7:08am this morning, the same day of the 100 Days launch. Looks like our hospital room will be our public place of worship for the next few days. The North Korean believers strategized how they could advance the gospel in the teeth of their own destruction. They asked themselves and God, “How can we continue to be church in the most Christian-hostile nation in human history? In other words, they prayerfully strategized their on their own discipleship campaign, and that campaign has now spread throughout the world! One of the things that struck me about the original North Korean campaign was that this discipleship strategy was birthed out of the recognition that discipleship would be getting more difficult for them. Persecution was getting worse, but they knew that they had to find a way to pass their faith on from generation to generation. In other words, following Jesus (discipleship) doesn’t happen in a vacuum. It happens in the real world, with all of the challenges and difficulties that life brings. We are called to be and make disciples not just in the easy times, but in the terrible ones as well. We are called to make disciples with or without a home, job or jobless, in sickness or in health, and . . . you get the point. 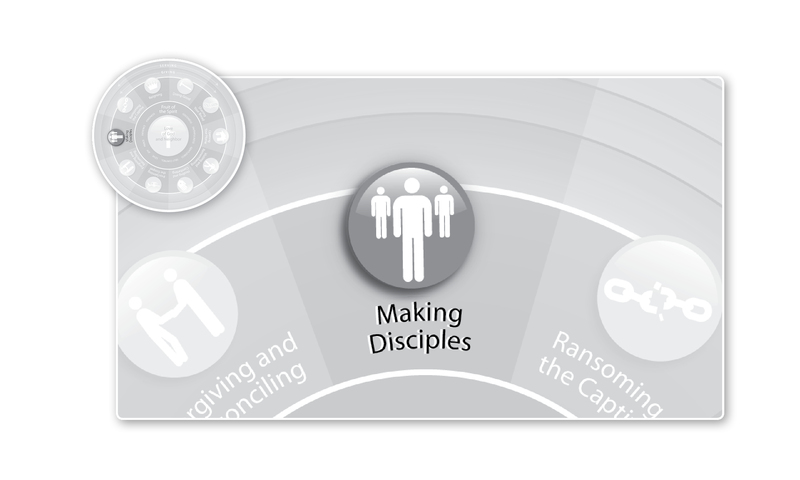 The goal of discipleship has always been the same. Jesus commissioned his disciples to “teach them all that I have commanded you,” but this commission was fulfilled alongside of their own difficulties, less than ideal circumstances, persecutions, imprisonment and even death. So, as we endeavor to worship with the four pillars over the next 98 days, don’t be discouraged if you find it a little difficult. Don’t wait for the perfect moment to lead your family in worship, because that perfect moment may never come. Take a moment in the grocery store, around your dinner table, out on your deck, or even at the library. Take the time to make a disciple no matter where you are and not matter what circumstances you find yourself in. This entry was posted in Making Disciples, Uncategorized, Worship and tagged 100 Days of Worship, Facebook page, Making Disciples, North Korean Underground Church. Bookmark the permalink.